With Magento Commerce, Oliver Sweeney found the right style, fit, and function in an eCommerce platform to sell shoes and footwear online. To sell shoes online, Oliver Sweeney wanted a new online store to keep them one step ahead. 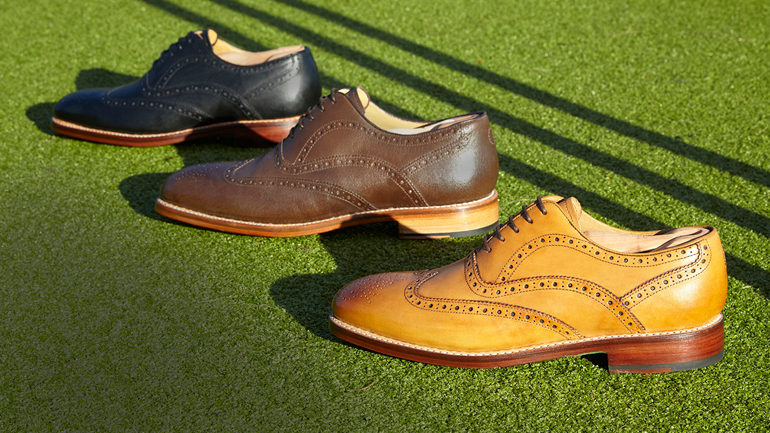 Headquartered in London, Oliver Sweeney is a men’s premium lifestyle brand specializing in selling shoes and accessories. For over 25 years, the company has changed the face of premium footwear. At the heart of Oliver Sweeney’s operation is the constant need to refresh its web store, updating new offers and promotions to keep the brand fresh. But making changes using their old eCommerce platform to sell shoes online was complicated and time-consuming — re-merchandising the entire footwear website could take half a day. 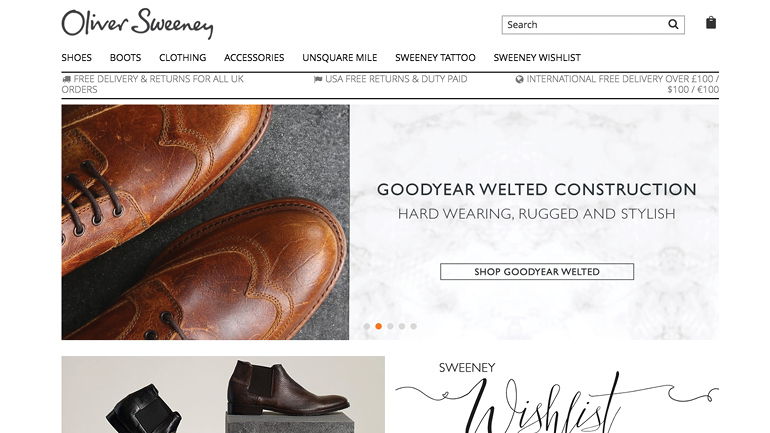 Oliver Sweeney needed its new eCommerce website to be a perfect fit, just like their shoes. They demanded a visually stunning customer experience as a starting point for an overall business transformation. It was this forward-thinking approach to technology that brought the brand to Magento. The way our website runs is just as important as our in-store customer service. The website is our virtual shop front and we felt that Magento’s offering was best suited for all of our needs. Sell shoes online with ease. How Magento connected Oliver Sweeney and their loyal customers. 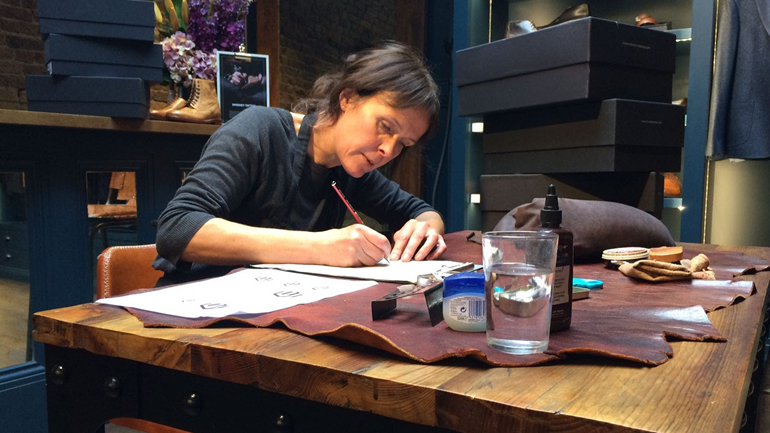 Creativity and craftsmanship are at the core of Oliver Sweeney products. This is a brand that employs tattoo artists to personalize their shoes. With Magento, Oliver Sweeney can now customize their digital marketing campaigns, and connect successful holiday direct mail catalogs with a supporting online component. The catalog includes a “wish list” leaflet so customers can track favorite items, and can now create a matching list online to share with hashtags and save to their cart. Then, using the dotmailer extension for email, Oliver Sweeney can follow-up with a post-holiday offer. Magento Commerce also allowed the Oliver Sweeney customer service team to manage orders directly on the application. There, agents can add items to a customer’s basket, apply promotion codes, and offer store credit rather than refunds. Before using Magento, these ideas were just fantasies. Sell shoes online and beat competition. Commerce, delivered at the speed of fashion. Much of Oliver Sweeney’s online success is driven by timely merchandising. Setting up promotions used to take the team at least 48 hours, going back and forth between the in-house team and the agency. Now, with drag-and-drop functionality this process takes just minutes. The Magento promotion engine enables the team to perform a quick boost, and is seamlessly linked to merchandising on the site. When creating an email campaign, the team can easily create a category for multiple products that gets pushed to the homepage and is connected to the email marketing campaign. This flexibility empowers the team to approach key sales events like holiday shopping in a whole new way. Launching new holiday marketing offers and promotions like this now takes less than an hour, and Oliver Sweeney can even refresh the site multiple times a day if required. It keeps Oliver Sweeney one step ahead of the competition. Oliver Sweeney’s new footwear website is just the starting point for a bigger business transformation to sell shoes online in a whole new way. Oliver Sweeney will continue to work with Redbox to implement ePOS, CRM, order management, inventory management, and more. With Magento Commerce, Oliver Sweeney found the right style, fit, and function for their brand, and a platform that is ready for whatever the future holds in footwear eCommerce. We needed a platform that we could easily scale up if required, and customize to our brand.